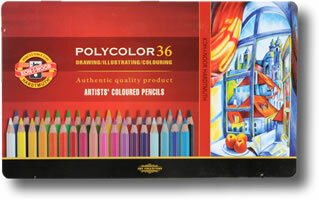 Koh I Noor Polycolor Pencils are artists' permanent coloured pencils for drawing and illustrating. Lightfast, blendable with a high pigmentation and permanent colour. Koh I Noor use special oils to give their pencils a really soft, smooth lay down. 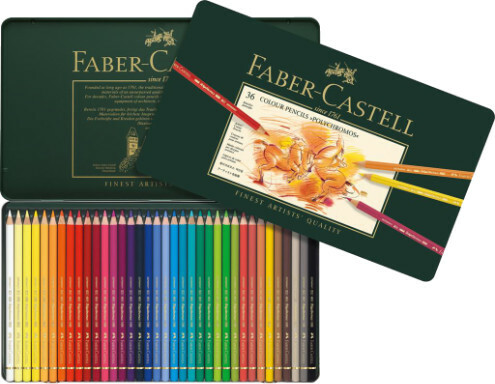 Here is a selection tin of 36 colours.